With 3D printing becoming a major impetus in cultivating startup culture, Florida International University (FIU) is launching a MakerBot Innovation Lab, a 3,000-square-foot makerspace for students and community members to develop product ideas and conduct research. Set to be equipped with 30 state-of-the-art 3D printers and four 3D scanners, the space can serve up to 60 students at a time, with one 3D printer between every two work stations. The school bagged a $185,000 grant from the John S. and James L. Knight Foundation to build the facility. “Miami’s entrepreneurial ecosystem has seen enormous growth over the last few years—adding co-working spaces, mentor and funder networks, educational offerings and a host of events,” Matt Haggman, program director of the Knight Foundation, said in a statement. “But there are few established makerspaces where entrepreneurs can experiment and build. The MakerBot Innovation Lab will help to fill this gap, providing the next generation of Miami talent with a space to realize their ideas and inviting the community to connect toward building a stronger startup culture in our city.” FIU’s College of Architecture + The Arts will be the only arts/design college in the nation to house a MakerBot Innovation Lab, according to John Stuart, associate dean for cultural and community engagement and executive director of Miami Beach Urban Studios. The lab’s launch creates abundant educational opportunities as well as a space for public programs. The makerspace will support workshops for elementary and middle school students, dual enrollment programs for high school students, for-credit classes for FIU students and startup programs for recent graduates. FIU’s Urban Studios, a creative space for the performing and fine arts, will work with FIU colleagues and students in hospitality, medicine, and other disciplines to conceive projects to fulfill a community need, such as outfitting homes to be safer for the disabled. The school will also collaborate with Miami Beach–based Rokk3r Labs, a company "co-builder," to hold workshops, seminars and other programming within the Makerbot Innovation Lab. In a press conference helmed by CEO Bre Pettis, 3D Printer manufacturers Makerbot revealed three new printers set to become commercially available in the near future. The announcement came as a part of CES, the annual consumer electronics and technology trade show currently taking place in Las Vegas. Among the products launched is the Z18, a larger machine capable of producing objects that are up to 12 inches wide and 18 inches long. 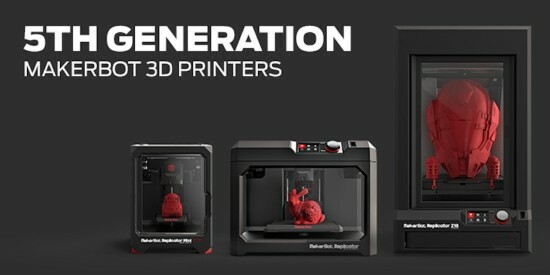 The launch represents Makerbot's latest attempt at reaching the entire spectrum of the 3D printer consumer market. The Z18 is joined by the Mini, the cheapest of the machines, tailored for ease of use, and a 5th generation update of their Replicator model. The printers feature built-in cameras and LCD displays that allow for external monitoring of internal building as it progresses. While their various functionalities are accompanied by differing price points, even the least expensive product in the line will retail for well over $1,000. 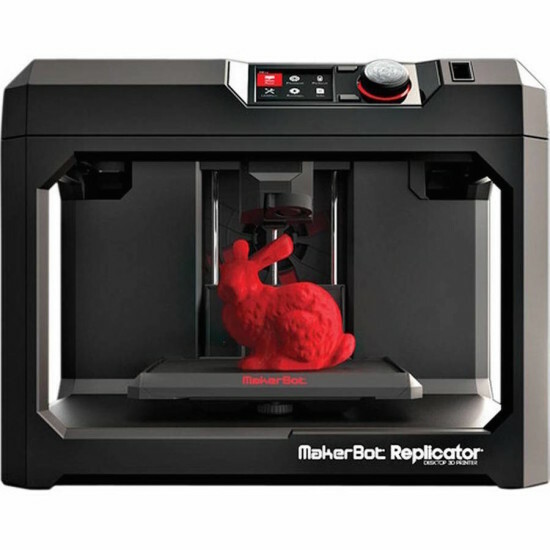 Makerbot is quickly rising to the fore of the 3D printing market. Pettis claimed that over 44,000 of his machines are currently in use around the world. Along with the new printers, the Brooklyn-based company also announced plans for a digital store where designs can be purchased and downloaded were also announced. While the Replicator can already be ordered, the other two models are expected to be purchasable sometime this Spring.